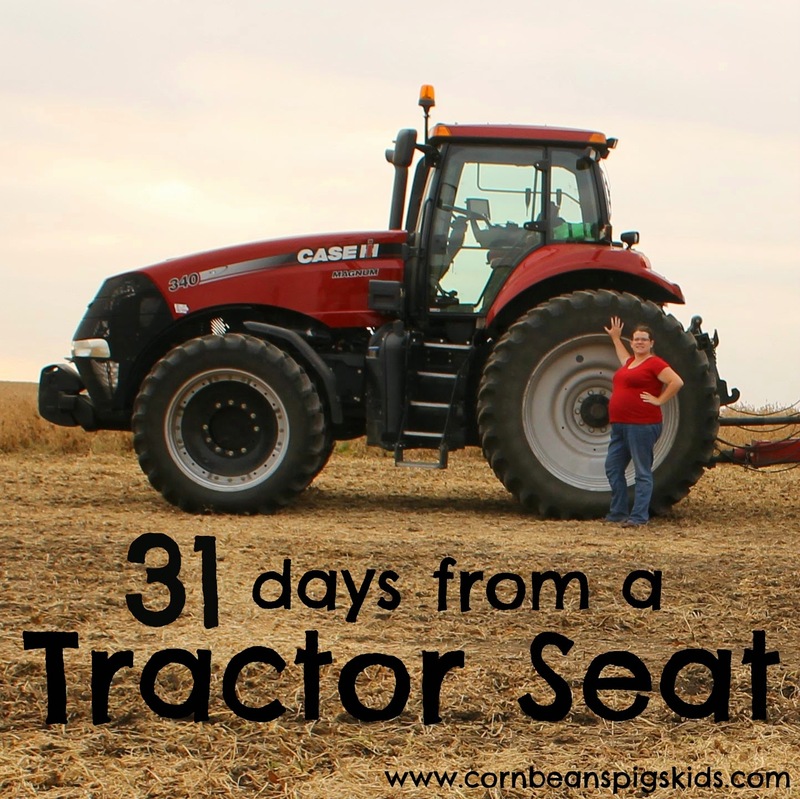 Spending every day in a tractor seat gives me a lot of "thinking time" (think of driving your car for 10 hours a day every day). So today since it is Sunday, I thought it'd be fun to share a little "Sunday Funday" post about some things going on in my life besides driving a tractor. 4-H is a youth organization that I was involved in that I feel truly helped shape me to the person I am today. When I joined the Clear Lake Sailors 4-H Club in Hamilton County, Iowa as a 4th grader (so I could show at the County Fair) I had no idea the amount of leadership, citizenship and communication skills it'd give me by the time I finished my 9-year career, or how it'd help shape my core values and teach me responsibility. I had no idea that I'd make life-long friends while being on the State 4-H Council, or that I'd be the national secretary of Collegiate 4-H someday and meet amazing professional from across the United States. And the greatest thing I gained through 4-H was My Farmer. When I was a freshman in college the first people I made contact with when I got to Ames were people I had gotten to know through 4-H. I spent a lot of time on 5th floor Maple dormitory with 4-H friends and was lucky to meet the guy down at the end of the hallway and fall in love. The connections and networking that are made through 4-H are amazing and unimaginable as a 4th grader. Volunteer - This is the obvious one, get involved an volunteer with your local 4-H club or your local county program. I am personally my local county's Communications project leader and have chaperoned 4-H trips as a way of volunteering locally. Become a Judge - There is always a need for more judges. Contact your state 4-H office and find out the procedure and trainings available so you can judge at area county events and fairs and even at the State Fair. I have been judging for 10 years! And I am always so impressed with the presentations and projects I see every year. Share your 4-H Story through Social Media - I just shared a little bit about my 4-H story here on my blog, but it can be as easy as sharing a photo on Facebook or tweeting about 4-H. 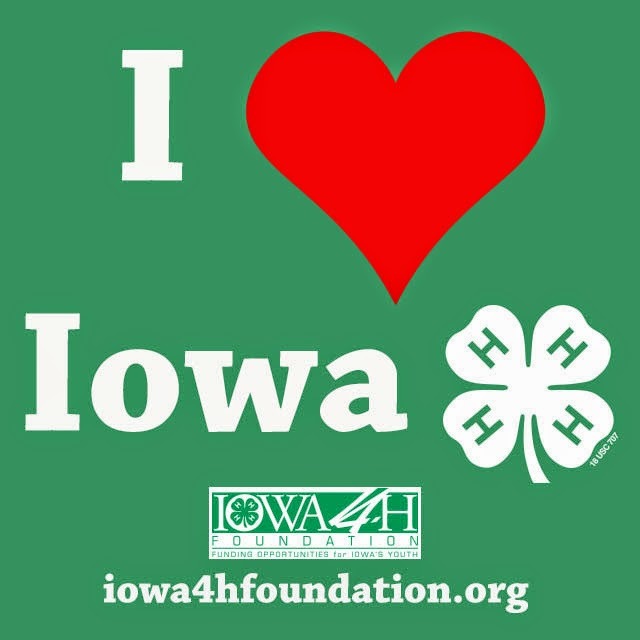 If you are an Iowa 4-H supporter, the Iowa 4-H Foundation has created a great graphic that you can share (located below this list of ideas) and save as your Facebook profile for the week. Also, be sure to follow your local 4-H organization through their various social media outlets - Facebook, Twitter, Pinterest, Instagram, etc. Modify your Email Signature - To include a National 4-H Week message to the bottom of all your emails. It can be as simple as "Celebrate National 4-H Week October 5-11" and include a link to your local county or state 4-H program. Write a Letter to the Editor - And share your 4-H story and why 4-H is such a great youth organization. As an alumni, you can give a complementing view of 4-H to those youth members also contacting their local newspapers. Share your 4-H Story through your Workplace - Wear green this week, or ask to put up a 4-H flier or poster in your workplace's break-room to increase awareness about 4-H. If your workplace has a marquee or lighted sign, display a National 4-H Week message. And one easy way for you to donate is by commenting to this post. All month long, for every comment on my blog, I'll be donating $0.50 through my Comments for a Cause program to the Iowa 4-H Foundation. So share what 4-H club you were a member of, or how you are going to celebrate National 4-H Week, and make a donation through me! Amazing how 4-H can impact lives. Meeting people at conferences :) etc. Great post on the ways alumni can stay involved! Thanks Christy and yes, it is amazing how 4-H can impact lives! Val- What a great post about 4-H and all to opportunities that you can do! I know for me having been a 4-Her, in Humboldt County the experience has now came full circle by being a CYC in Polk County! Thank you for all of the 4-H support and I hope that we can get you down to Polk County to judge some year! The opportunity to formulate and practice the skills our children need to make their mark in the world is always good. I love how I think back on how to create a goal from my 4-H days often as an adult. Val, I was just talking to my sister about National 4-H week this a.m. We were talking about some of the recipes that we used and the many memories connected with those recipes. So, I am sure one of those will be included in my posts this week! Happy National 4-H Week to you too! That'd be great to see some of your 4-H recipes - I think that'd be a great addition to your posts this week. 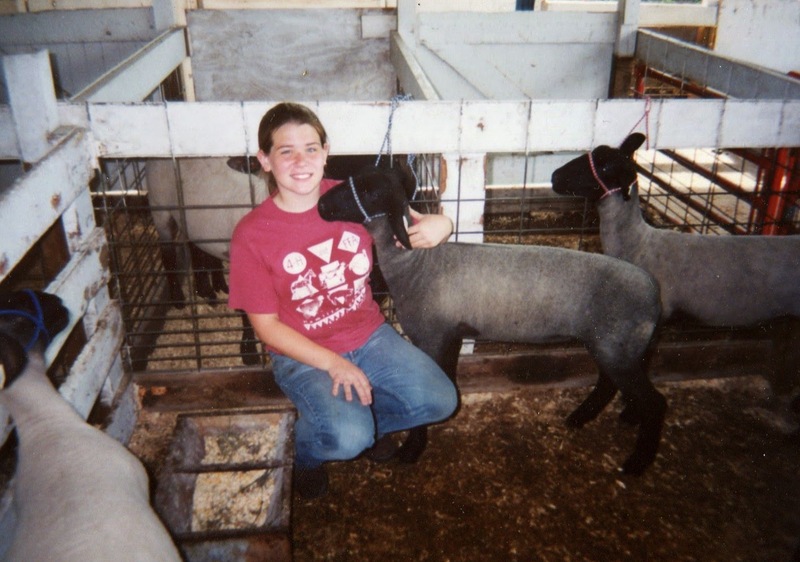 One of my "4-H Stories" actually comes from a Food & Nutrition project. It was the night before Judging Day at our County Fair and my sisters and I were getting all of our projects organized for the morning when we realize that we couldn't find mine or my youngest sister's challenge cookies in any of our freezers (having three 4-Hers in one houses meant a lot of baking so we often froze 4-H food projects throughout the week prior to fair). Well, the recipe called for butterscotch chips and we didn't have any in our house (and the nearest open grocery store was 30 minutes away one way). Luckily, I was helping a neighbor 4-H family get their sheep ready and they too made the challenge cookies and had just enough butterscotch chips for one batch left. So my youngest sister and I made one batch of the challenge cookies together and picked which cookies we'd present to the judge. Sure enough, my youngest sister got top Junior challenge cookie while I got a red ribbon on mine. My sister and I laughed and learned a valuable lesson about judging. It is always going to be that person's opinion on that certain day. The important aspect to any project is what you learned and not what recognition you receive. The skills I learned through 4-H prepared me so much more than I ever expected in both college & work - goals, presentations, writing, etc. As a 4-H leader, love watching 4-Hers grow from year to year. There are unlimited opportunities and I love that each 4-Her can customize what interests them. Val, I was a 4-H'er in Guthrie (Highland Dodgerettes), Butler (Butler Bonnie Belles), and Buchanan (Country Cousins) counties; member of county 4-H committee in Sac and Carroll Counties; 4-H mom while living in Winnebago (Forest Everreadies) and Humboldt (Pink Shoelaces) counties; 4-H leader in Humboldt; judge while living in Sac, Carroll, WInnebago, Humboldt and Story counties; and a volunteer in those same five. Interesting to note that I went into the Sac County Extension Office many years ago to ask about judges training and ended up being on that county's 4-H committee in short order. That's the way the 4-H world works, though. Ask and you get so much more than you thought you wanted. Can't wait until my original 4-H project materials are old enough to be "antique" age, and see how much -- or how little -- things have changed in this great youth organization. I think it is great how 4-H gives their youth the opportunity to build their public speaking skills at a young age. I too got a lot of presentation practice thanks to 4-H! Val, I absolutely love your blog! I also shared it with Grandma Stakey because she heard about it through the grapevine and wanted to read it! 4-H had a great impact on my life, and I continue to experience its benefits while in college through connections and networking! Loved having you as a role model in my 4-H career. For that, I will always be grateful. Hope all is well with your family! Thank you for your kind words Courtney! I hope Grandma Stakey likes it! And keep up the great work and fun at ISU. Thank you for your wonderful post about the values of 4-H. I am starting my 20th year as an adult leader. I was not ready to be done with my 4-H experience when I graduated, so I signed the adult leader form immediately upon my graduation from 4-H. I have cherished every life lesson I have learned and am now passing on to my own 4-H'ers. I love it! I was the same way. I was in Collegiate 4-H in college and started judging in college as well. I think we all can agree 4-H is a great organization! I loved reading this. I am from Idaho, and 4-H is a big part of our culture there. Thanks for sharing.